You are here: Home » Blog » Tips for Play Blu-ray » Lion » How to Play Blu-ray Disc/Blu-ray Folder/BD ISO on Mac OS X 10.7 Lion? Mac OS X Lion (version 10.7) (marketed as OS X Lion) is the eighth major release of Mac OS X, Apple’s desktop and server operating system for Macintosh computers. You may have updated your Mac and are enjoying the great features it brings you. However, this new OS also doesn’t support native Blu-ray playback. Never mind. 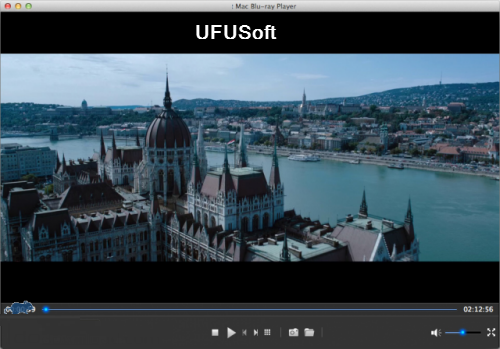 UFUSoft Mac Blu-ray Player software can help you play Blu-ray on Mac Lion (OS X 10.7). Download Blu-ray Playing software Mac OS X Lion FREE to play Blu-ray movies on OS X Lion 10.7, which can not only play Blu-ray Disc, but also support Blu-ray folder and ISO image files. This Lion Blu-ray Player is reliable and expert in playing Blu-ray discs released in different regions and dates trough simple clicks of mouse on Mac OS X 10.7. UFUSoft Mac Blu-ray Player OS X Lion supports playing Blu-ray Movies on iMac, MacBook Air, MacBook Pro, Mac Mini, Mac Pro, etc with original quality. Also this player enables users to choose the specific Blu-ray title/chapter to play. Blu-ray Player Mac OS X Lion can support all media formats of movie, video, audio, music and photo. It is multilanguage supported and easy handled with user-friendly interface. After adding DTS5.1 into it, Mac Blu-ray Player can bring your Mac to the most popular Blu-ray HD video enjoyment. The strong compatibility of Mac Lion Blu-ray Player supports Mavericks 10.9, Mountain Lion 10.8, 10.7, 10.6, 10.5. How to Play Blu-ray on Mac OS X Lion? Step 1: Insert your BD into the Blu-ray driver. Download and install the UFUSoft Mac Lion Blu-ray Player. Then Run the program and two buttons are in the middle of the interface: “Open File” and “Open Disc”. Step 2: Click on the ‘Open Disc’ button and select the BD in the pop-up dialogue. After a couple seconds of loading, you can enjoy the Blu-ray movies on OS X Lion 10.7 freely. Now you can enjoy the high HD Blu-ray movie with super high audiovisual quality on Mac OS X 10.7 Lion. More info, please enter Mac Lion Blu-ray Player.